Lake Reba, and Richmond. Irvine Rd, Speedwell Rd, Meadowbrook Rd, Old Irwin Rd, Moberly No 1 Rd, and Forest Ln. Some property owned by the Bluegrass Army Depot, James McKinney, John Hickam, Z.M. Riley, Artus Ballen, Willi Mae Still, Wilbert Leater, and Orville Oglesby. 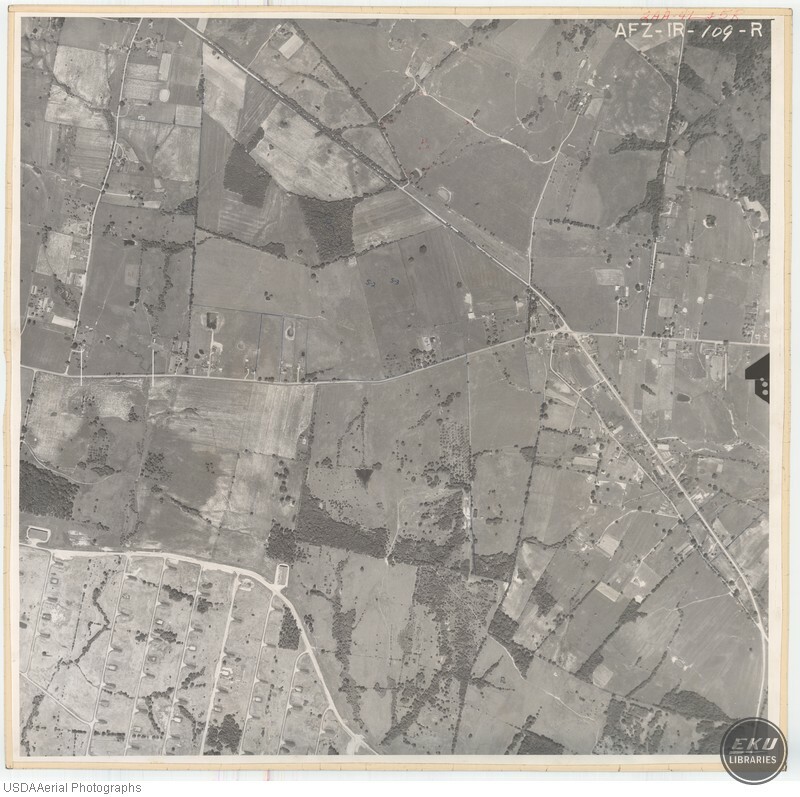 USDA, “Madison County, Area Close to the Bluegrass Army Depot,” Digital Collections, accessed April 19, 2019, https://digitalcollections.eku.edu/items/show/769.